Dublin is known for sightseeing, breweries, museums, nightlife, and historic sites. Your plan includes some of its best attractions: contemplate the long history of Kilmainham Gaol, don't miss a visit to The Book of Kells and the Old Library Exhibition, indulge your thirst for a good beer at Guinness Storehouse, and take in the local highlights with Walking tours. For maps, photos, more things to do, and more tourist information, use the Dublin itinerary maker. Sydney, Australia to Dublin is an approximately 35-hour flight. You'll gain 10 hours traveling from Sydney to Dublin due to the time zone difference. In June in Dublin, expect temperatures between 20°C during the day and 10°C at night. Finish up your sightseeing early on the 18th (Sun) so you can go by car to Dingle. 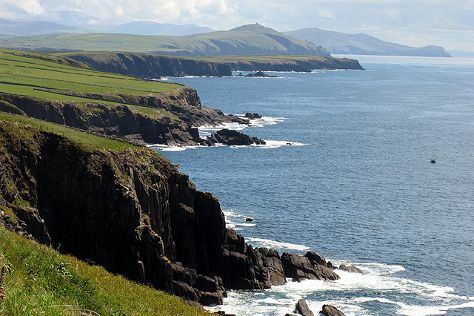 Spend the 19th (Mon) exploring the striking scenery along Slea Head Drive. Next up on the itinerary: take some stellar pictures from Brian de Staic Jeweller, meet the residents at Dingle Oceanworld Aquarium, take in the dramatic natural features at Conor Pass, and pause for some serene contemplation at St James' Church. To find reviews, traveler tips, maps, and other tourist information, go to the Dingle trip planner. Drive from Dublin to Dingle in 4 hours. Alternatively, you can do a combination of bus and flight; or do a combination of train and bus. June in Dingle sees daily highs of 20°C and lows of 13°C at night. Cap off your sightseeing on the 21st (Wed) early enough to go by car to Killarney. 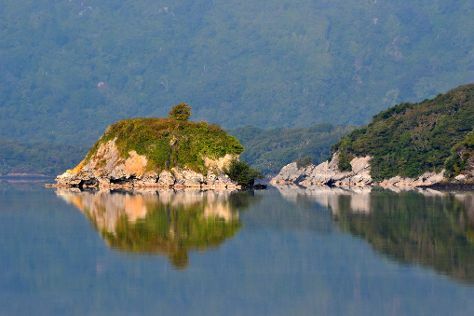 On the 21st (Wed), explore the striking landscape of Killarney National Park. Keep things going the next day: admire the verdant scenery at Gap of Dunloe, then step into the grandiose world of Ross Castle, and then admire the natural beauty at Muckross House, Gardens & Traditional Farms. To see more things to do, traveler tips, where to stay, and more tourist information, you can read our Killarney trip itinerary maker. You can drive from Dingle to Killarney in an hour. Alternatively, you can take a bus. In June, plan for daily highs up to 20°C, and evening lows to 13°C. Wrap up your sightseeing on the 22nd (Thu) to allow time to travel back home.